A no-deal Brexit is getting closer all the time. This will irrevocably lead to customs formalities for shortsea and ferry traffic to and from the United Kingdom. Together with a large number of other parties, Portbase are working on a chain-wide solution to enable the continuation of fast transportation of cargo via the Dutch ports after Brexit. An important element in this effort is updating our services Notification Import Documentation and Notification Export Documentation. After Brexit, you will also be able to use both services to send customs documents to shortsea and ferry terminals. All ferry terminals in the Netherlands are making this compulsory; the majority of shortsea terminals have also embraced this approach. Digital prenotification of customs documents via Portbase avoids unnecessary delays in Dutch ports and ensures correct handling of customs formalities. 29 March 2019 requires rapid action from everyone! you need to use the shipment number (consisting of the shipping company SCAC code, booking number and tracking number). At container terminals, that is now the container number. • After you have sent a prenotification, terminals can send you a return message. That way, you can be sure that your notification has been received. For shortsea and ferry terminals, this return message will become a standard part of the service. For deepsea traffic, this will be dependent on the implementation by the terminals in question. • The new Import Status service allows you and your haulier(s) to see the customs status at the terminal. You can see whether the import documentation is present and/or a customs embargo is in force. That way, you and your haulier(s) will know whether the cargo can be collected from the terminal. As a web customer, we will automatically transition you to Notification Import Documentation 2.0 at the end of March 2019. You do not need to do anything. Would you also like to pre-register at shortsea and ferry terminals? Sign up immediately! For the pre-registration of import documents at the (newly participating) shortsea and ferry terminals due to Brexit, you have to fill in an application form again. This is necessary because you have to conclude a new supplementary terminal contract with the shortsea and ferry terminals. In consultation with the shortsea and ferry terminals, Portbase is working on a single umbrella contract. This will allow us to limit your administrative costs, now and in the future. Register today! Brexit is happening soon. You can register directly here for the pre-registration of import documents to shortsea and ferry terminals after the Brexit. As soon as the umbrella contract is available, we will contact you about your final registration and the payment of your connection costs. 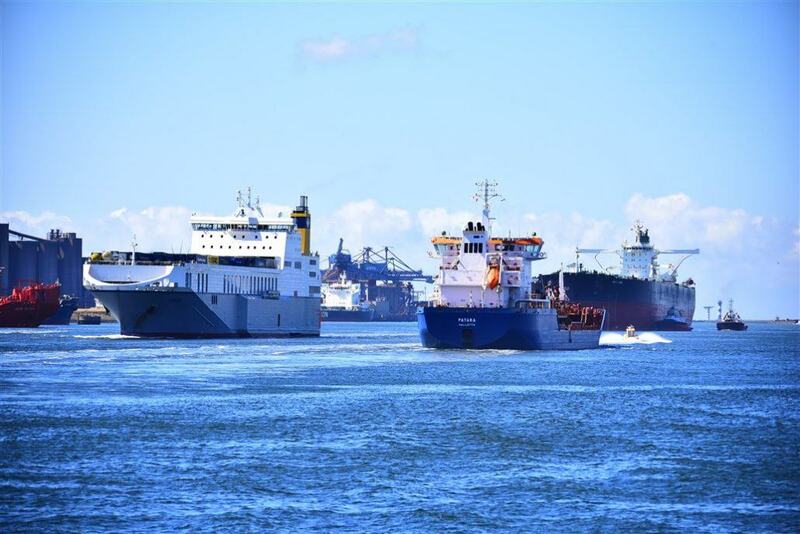 As a subsidiary of the Port of Rotterdam Authority and Port of Amsterdam, Portbase is neutral and non-profit. Due to all the necessary Brexit modifications and work on the service Notification Import Documentation 2.0, there will be a one-off charge of € 249.50 for connection to the new shortsea and ferry terminals until 14 March 2019. On 15 March 2019, this will increase to € 499 (excluding VAT). The expected ‘scramble’ in the event of a no-deal Brexit is forcing us to hire in extra capacity. Our current subscription and usage charges will remain unchanged. The new service Notification Import Documentation 2.0 will go live in late March. Whether or not there is a no-deal Brexit on 29 March will have no influence on this. The service will go live regardless. The changes required to the service Notification Export Documentation for Brexit are limited. Only the Container Number field (11 positions) will change, being replaced by Transport Equipment ID (17 positions). This will allow you to also prenotify export documents for trailer transport via ferry terminals in the future. This change has already been implemented in the web version of Notification Export Documentation. So you do not need to do anything else. As in the container sector, your haulier(s) and ours also automatically benefit from the extensive track & trace options included in the service Track & Trace Export. As an existing user, you do not pay any connection charges for the service Notification Export Documentation and the service is free to use. ports in the Netherlands after Brexit at www.getreadyforbrexit.eu. If you have any questions or you would you like to know which other Portbase services may be relevant for you, our Sales department will be pleased to help. You can contact them on +31 (0)88 625 25 17 or sales@portbase.com.